With baby number three due early next year, I am on the lookout for some lovely new nursery necessities. How lucky then that the ever-fabulous Jacob and Bonomi are introducing their latest beautiful bedding – the Little Traveller and Tree of Life bedding sets. 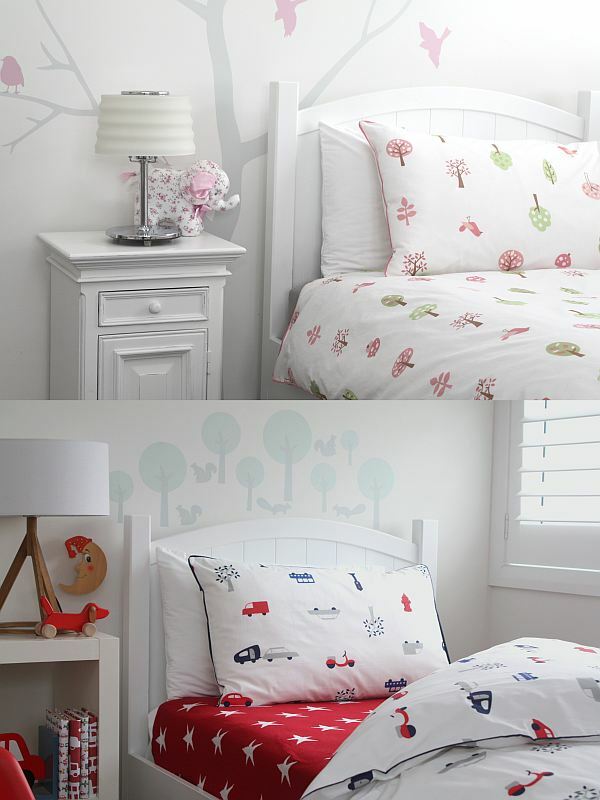 Both gorgeous patterns are available in cot and doona sizes. 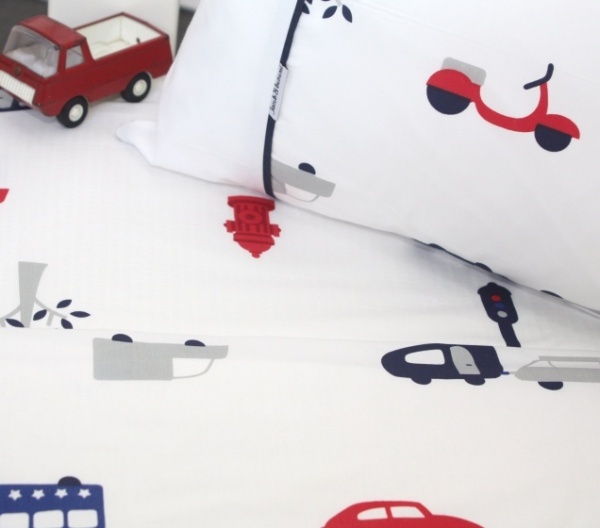 The Little Traveller print features retro scooters, campervans, cars and traffic lights in red, navy and grey on crisp white cotton. The Tree of Life has delightful trees and sparrows in green and pink. These will be ready to make the journey off the shelves direct from Jacob and Bonomi from 6 December. Cot sets costs $85 and duvet cover with pillowcase is $135, plus shipping. If you like the look of these, check out the rest of the range featured before on Babyology.